This is not your traditional Pulaski. 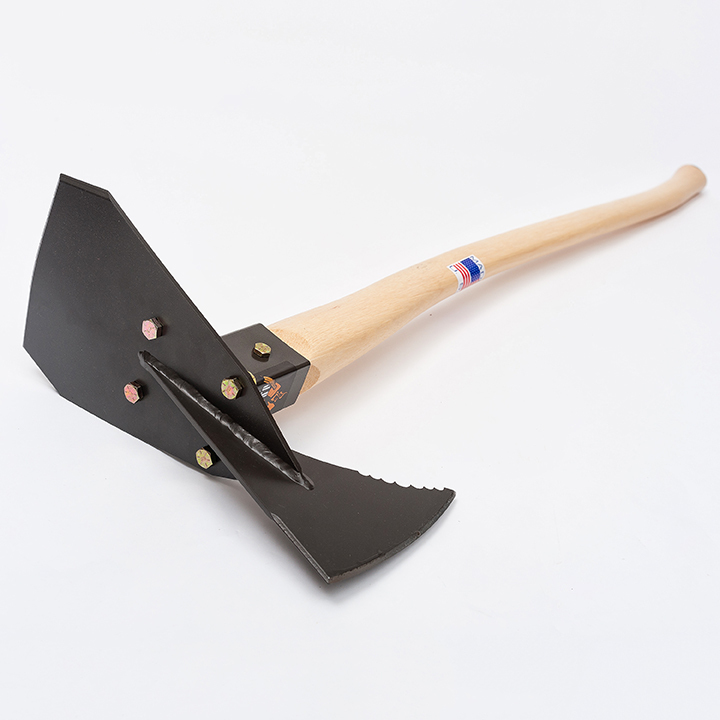 The Super P 40 is designed for firefighters and trail builders who have their nose in the dirt, working in tough country around stobs, root balls and rocks. The thick heat treated steel of the Super P Pro can be sharpened quickly and easily in the field. Our incredibly strong steel resists chipping and stays sharp longer than other tools. The Super P comes with a 40″ S-shaped fire roasted hickory handle, that saves your back while working long days on the fire line. 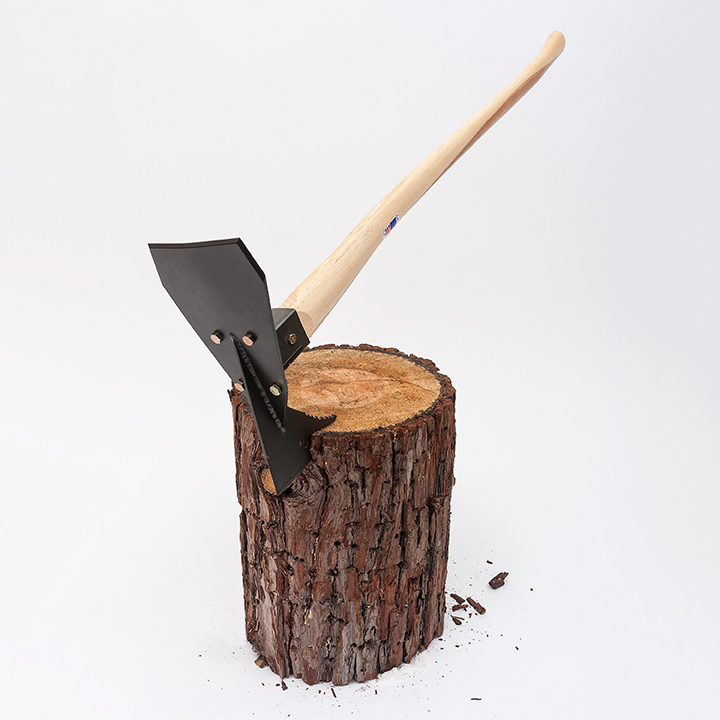 The log grabber axe head is designed to help firefighters pull burning logs out of hot ash pits. The Super P 40 is recommended for firefighting and trail building, not falling trees.